Circles are when mentor groups gather around the middle of the classroom and talk about what is happening in each of their daily lives. Two people bring an artifact that means a lot to them every time there are Circles, in order to build a strengthened relationship. Circles are what mentor groups and Expeditions classes do to feel more connected with the people they are with and to feel a sense of belonging and acceptance. Circles are also a way to support others and to focus on the successes and stresses of a student at Summit Public School: Shasta. 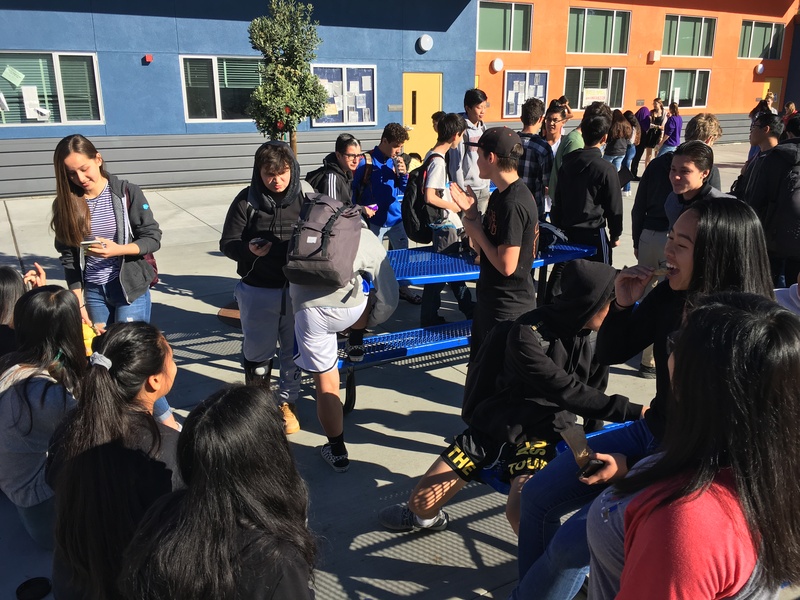 At Summit Shasta, students interpret community through structures like Circles and mentor time. Mentor groups consist of about 30 students with one faculty mentor. They stay together throughout their four years at Shasta and do activities together every day, in order for the students to become closer with each other. Newcomer Milagros Morris and two-year Shasta veteran teacher Michelle Mogannam talked about the way Shasta integrates a sense of community. Ms. Morris also said that she has been teaching for 17 years and that she has never felt welcomed into such a strong community as Shasta. Ms. Mogannam pointed out that Friday mentor time, as well as Circles, help bring about many interpersonal relationships and “a sense of belonging” within the mentor group. “It’s important for students to feel like they are part of something,” she added. Ms. Mogannam also believes that the collaborative group work Shasta projects impose are also important in building community. Smith also said that community at Shasta is very strong and argued that students can’t get that at other schools. Other Shasta freshmen who were interviewed include Samuel Zhang, Xavier Margate and Gerious Heishan. While they all gave short answers, they were still able to reflect on Shasta’s community in a neutral, if not positive, light. For example, they all stated that some of the ways this school builds community is by having clubs and joining sports. The interviewees also included Shasta junior Nani Tafilele, Shasta juniors Kayla and Shayla Branner and Shasta senior Joseph Madrigal. 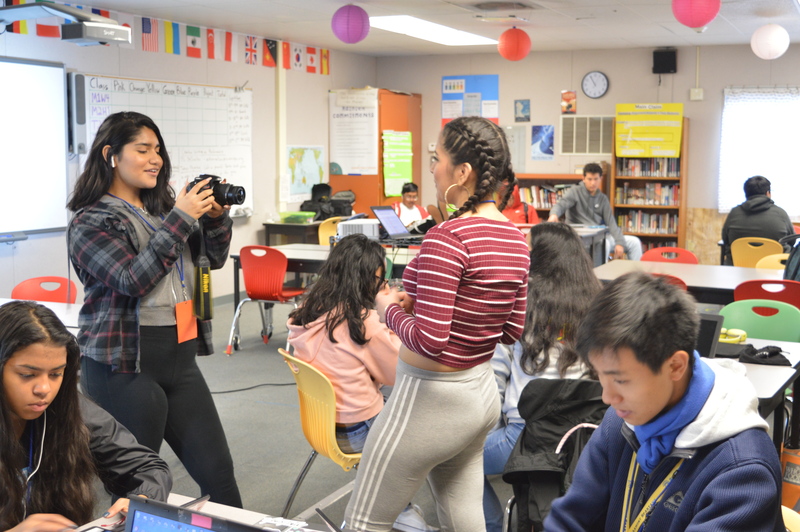 They all were in agreement about the usefulness of different elements of Shasta and how those elements contribute to the school’s sense of community. The Branners, Madrigal and Nani Tafilele all agreed that the student body “should break boundaries and get to know each grade more.” Madrigal believes that it is the “only way things can get better” for Shasta’s community. However, there were other students who felt negative toward Shasta’s integration of community, including Shasta senior Gabriel Marroquin and Shasta senior Sa’i Tafilele, Nani Tafilele’s sister. Both of these seniors expressed their feelings with the use of strong and profane language. Sa’i Tafilele also reflected that improving the community requires “[improving] the people,” since she believes that the entirety of the community revolves around the people and that people should be less judgmental. Adding on to interview data, there was time for a survey to be created for the student body. It generated 141 responses, which is roughly one-fourth of the student body, but the majority of the responses were from freshmen, who formed 60 percent of respondents. The range of survey data included a majority of freshman respondents. One of the questions included asked students how strongly they feel that mentor groups help them feel like part of the community, judged on a scale between 1 and 5. The average number was 3.22, meaning that students felt neutral toward this idea. These survey results show how students feel about how well mentor groups bring others into the community. Despite that, the survey data also showed that students slightly feel that their mentor group happens to value a sense of community. On a scale between 1 and 5, the average answer was 3.68. These survey results show how well students believe mentor groups value a sense of community. It is clear to see that the student body has a slightly stronger belief that clubs help students feel like there are other people who share their same interests. According to the data on this question, the average answer was 3.81. These survey results reveal how students believe clubs enable them to build community around shared interests. Overall, there is much variation between students as they ponder the thought of Shasta being a true community or not. Between mentor groups and particular teachers, certain different approaches result in varying student opinion. For comparison, many of the freshmen who were interviewed felt like they were accepted and that “everyone is friends,” while a few of the seniors felt like they are not accepted. In retrospect, it seems as if students’ experience with community at Shasta is totally varied from person-to-person. Does that mean anything? It could mean that Shasta needs to improve their methods in implementing community in Shasta culture. Ms. Giornelli described how Summit Shasta is relatively new and still building a community. She said, “When the seniors first came here, the school was only three years old.” She added: “Every single year we have been making improvements in the community, and, now that the freshmen are here, this school is six years old.” Ms. Giornelli feels that Summit Shasta has been doing a good job in improving community over the years.